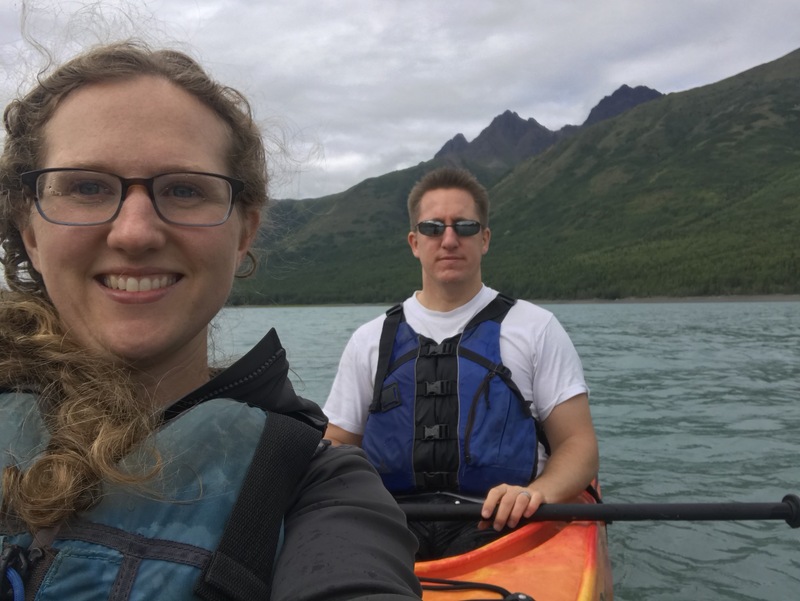 We drove to Eklutna Lake, not too far out from Anchorage, and rented Kayaks for a couple hours. It was beautiful out there and thankfully only mildly windy (the one thing they told us was to get to shore it wind started coming from the mountain side because it can quickly build up to 75 mph winds… no thanks!). 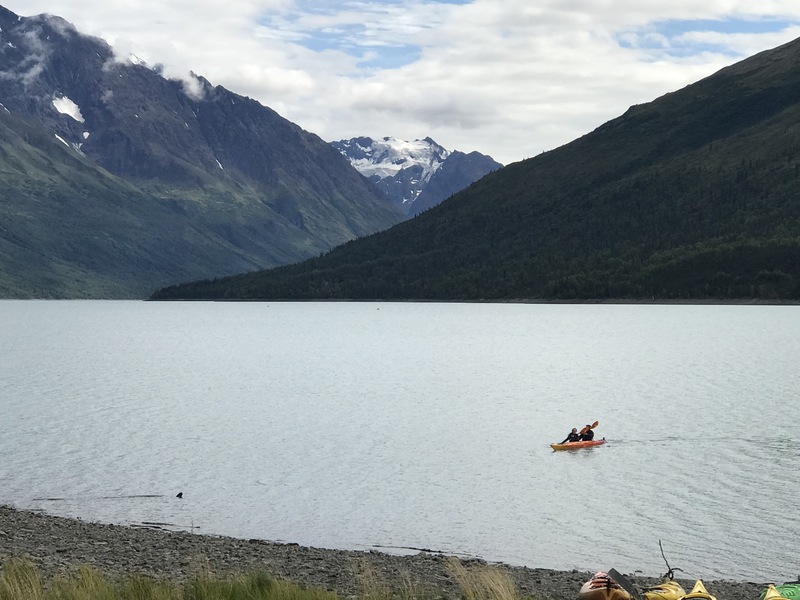 We paddled for what seemed like forever, on a Riot Kayak. Ever heard of them? Me neither, and for good reason. 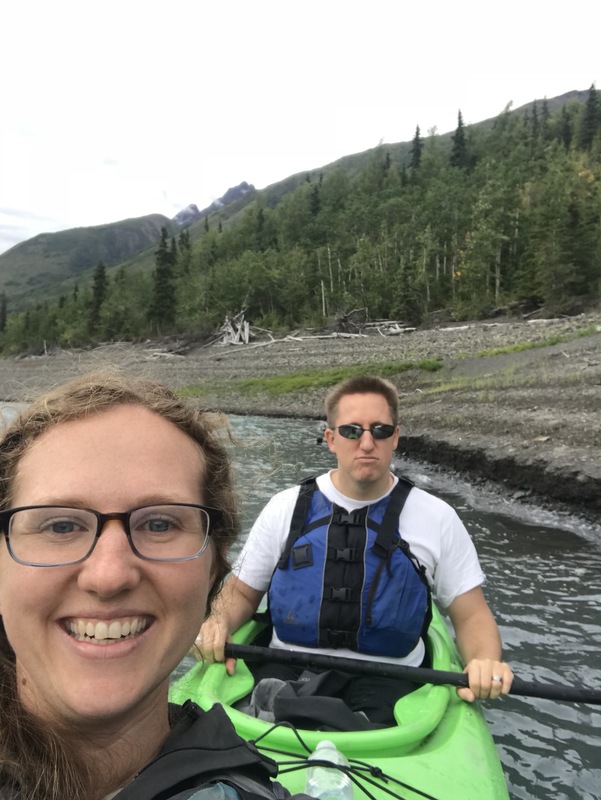 We eventually turned back and traded out kayaks because we were going so sluggishly slow. Instead of a V shape or even flat on the bottom it was shaped like a W in the wrong direction! So we got in a current designs double (still wide and sturdy but with a V shape that actually allowed us to move through the water). 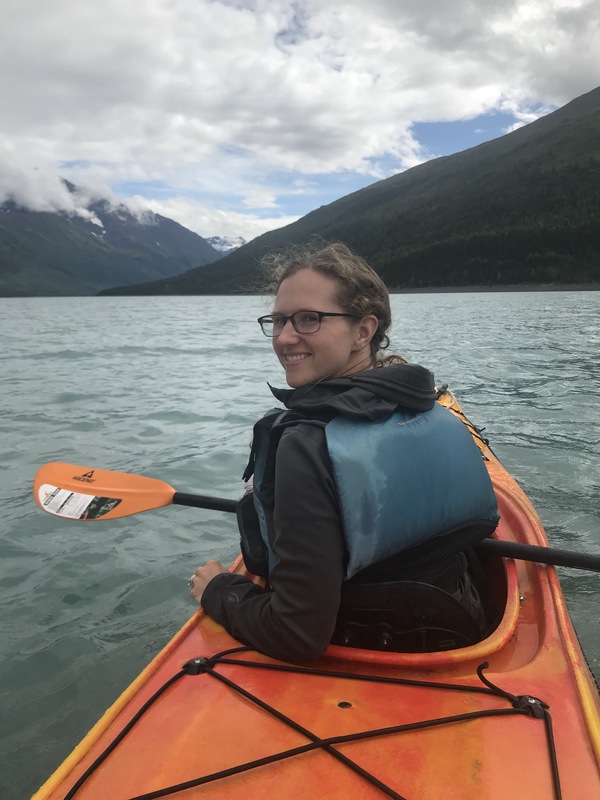 The wind had picked up the tiniest bit and Alex wanted to make sure I wouldn’t whine about being out in the center of the lake like he knew I would so he used he rudder to steer us right up to the shore, jokingly asking if we were close enough. My husband… always the jokester. 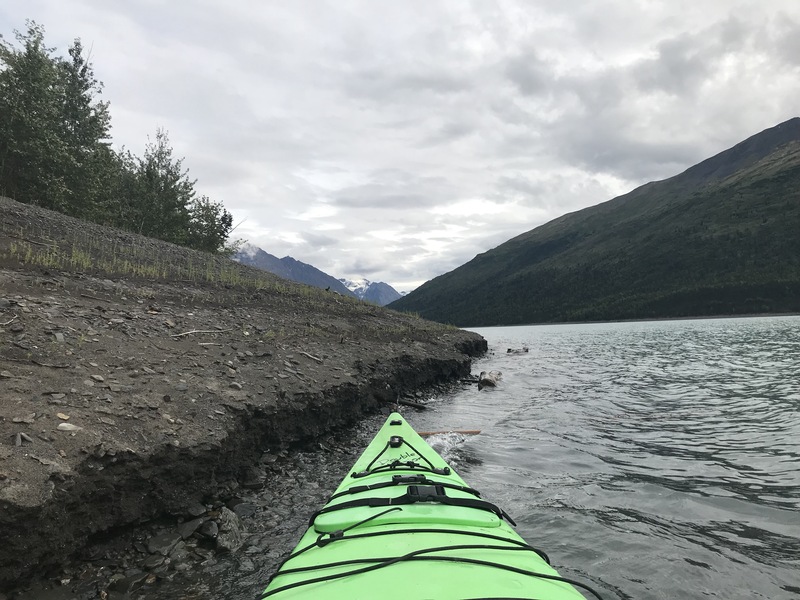 Kayaking in Alaska is always beautiful, always a little dangerous, and way better when your toddler is on shore with the grandparents, haha. It was nice to visit somewhere so close to where I grew up that I somehow hadn’t visited for! It’s fun playing tourist in your home town. ← Biggest Stand Up Paddle Board Ever!